MercatorNet: Are we sleepwalking through the great infanticide? The human mind can hold onto blatant contradictions, but in order to do so it must block out certain unpleasant truths. One such uncomfortable truth has now come knocking at the door in Philadelphia, where a "house of horrors" abortion clinic was discovered early this year. At this clinic viable babies were outright murdered after their births had been induced and they had been fully delivered. Clinic staff have testified that on hundreds of occasions, second and third trimester babies that were breathing, moving and even crying were slaughtered by having their necks slit or their spines severed. Almost everyone agrees that killing newborn babies constitutes murder. That is also the law, which is the main reason why clinic owner Dr Kermit Gosnell may face the death penalty if convicted. In recent weeks, five of his staff have pleaded guilty to various charges including murder, and some may be sentenced to hundreds of years in prison. And yet, late-term abortions, effectively right up to the moment of natural birth, are not illegal in Canada or in many parts of the United States. If Gosnell had chosen to act in medically acceptable ways by dismembering or killing the fetus within the womb just before removing it, he would likely be a hero in the eyes of many for providing an essential service that empowers women. Who knows, he could have gotten the highest civilian award -- a mere three years ago we bestowed the Order of Canada upon Henry Morgentaler, a man who claims to have personally performed over 100,000 abortions. Is it just me, or is there something sickly schizophrenic about a society that huffs and puffs in outrage at the killing of a baby in the light of day, but quietly supports it when it happens in the darkness of the womb? We are talking about the very same baby here, at the exact same moment of gestation, the only difference being the location of the demise. If we can kill a baby within the womb, why not outside of the womb? Viable babies are being put to death in late-term abortion clinics all over the United States, perhaps some in Canada. We call it "abortion" but in the light of day, these actions clearly are "murder". Q. And what happened to those ten babies that came out from their mother, that were big enough that you could put clothes on and take home and take care of, that moved around, what did you see happen to them? This is the shocking reality of every late-term abortion. Not one of the beautiful, innocent babies can ever be replaced, and I mourn for their lost lives. Clearly Gosnell's practice was horrific, but we must wonder why every late-term abortionist is not being charged with the same crime. 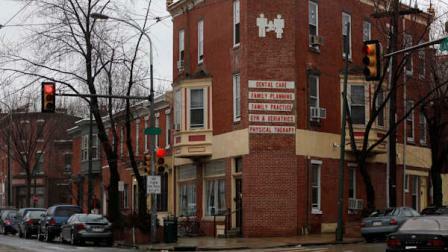 Many abortion proponents reacted to news of the Gosnell clinic by blaming laws which restrict access to abortion. Their argument was that when late-term abortion is illegal, as it is in Pennsylvania, then desperate pregnant women must resort to filthy and dangerous abortion clinics such as the one run by Gosnell. Indeed, Gosnell is also being charged with the deaths of two women, and scores of others suffered medical complications from his procedures. But something is missing from these arguments by abortion advocates, because the best clinic conditions would still not protect the lives of those tiny babies. Obviously, the loss of those lives is acceptable to those who defend such abortions because it is part of the price they are willing to pay for a woman's "choice". Perhaps they would tell me that the "fetus" is not really a baby, not yet, not until... when? Every person has different criteria. Some believe it is not a baby until birth, others until the arbitrary point of viability outside the womb -- a moving target that is set by the current state of medical technology. At that uncertain moment, this baby-shaped "part of a woman's body" apparently transforms into a human being. These arguments fly in the face of common sense, and I wonder how many people really believe them. Today more than ever, it is difficult to hold on to the myth that the fetus is just a part of the woman rather than a unique individual. Technology, science and medicine have exposed the truth to us with blinding clarity. With my first pregnancy I had an ultrasound at six weeks, a point when many women don't yet even know they are pregnant, and the screen already showed a perfectly formed little baby. Genetic testing would have confirmed that this baby had its own DNA separate from my own, and any biologist would confirm that it was a living organism, already far more complex than a whole range of other organisms. And just a few short weeks later, at around 24 weeks, my baby could have been born prematurely and possibly survived. Given all that we know about the unborn human being, it is clear to me that force of will, rather than genuine ignorance, now seems to be the driving force behind abortion. Our society simply wants abortion to stay legal regardless of the facts. It is not that we don't know the truth; rather, that we don't want to be reminded. It's a strange madness, with teams of doctors struggling to keep premature infants alive in hospitals where just a floor away, babies are being killed and discarded. Abortion requires our society to juggle a split personality. In Canada we frequently mourn the 158 Canadian Forces personnel who died in Afghanistan since 2002. And yet according to Statistics Canada, about 100,000 babies die from abortion every single year in our country, a total of about 3 million since 1969. In the United States, countless commemorations have taken place to remember the nearly 3000 people who died in the World Trade Center attacks. Those deaths led the United States to launch a whole war on terror. And yet, each year over a million babies lose their lives to abortion, for a total of over 50 million abortions since 1973. The result? Far more often than not, the words of our news-makers and decision-makers still support, rather than oppose, abortion. In a society where morality often seems to have ceased, it is easy to become resigned and passive in face of the overwhelming tide against us. And yet… In the short movie "180" [180movie.com] that went viral on YouTube recently, one woman discussing the Holocaust asks a poignant question: “Where was the world, where was everybody?” It seems so incomprehensible now that six million Jews could be killed in concentration camps with so little opposition from the German populace. But one day, our grandchildren may ask us a similar question with regard to our own cultural challenges: where was everybody, where were we? Speaking up for the truth might make us look like fools. And that is just the beginning. Today, it is a sad fact that opposing abortion can cost a person their job and even their career. You might also lose your friends, your standing in a social circle, your invitations to events. One day, your position on abortion could even cost you your freedom. To me, as a former political refugee from Communist Czechoslovakia, all this sounds eerily familiar. Back then, most people in our country were also silent, and many feared the repercussions that would follow if they openly opposed the regime. But we had a few dissidents, and they made a world of difference. One of them, Vaclav Havel, eventually became the first president of a free Czechoslovakia. The truth is a powerful thing; over time, throughout history, it has always won the moral battles, and I have no doubt that one day, abortion will be rejected and recognized as an unspeakable evil. Until that day comes the journey continues to require courage and sacrifice on the part of those who carry the responsibility of knowing the truth. It is up to us to awaken the conscience of our society, one person at a time. Lea Singh is a Harvard law graduate and currently full-time mother of a young family. She writes from Ottawa, Canada.